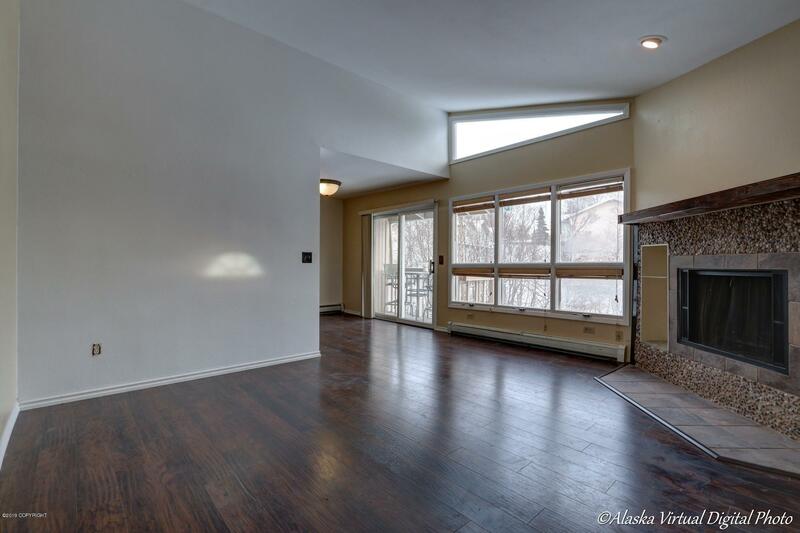 DIMOND/BLACKBERRY CONDO, 2 BR, TOP FLOOR CORNER, Next to creek, Mountain Views. Quiet, serene, vaulted ceilings, light streams through the wall of windows, slider to east facing deck. Full Kitchen & Living room Remodel, new cabinets, appliances, counter tops, lighting, flooring, painting, & artistically designed fireplace & mantel. DUES HEAT, WATER & MORE!! Close to Kincaid, shopping, schools.